Esma Redžepova-Teodosievska (Macedonian: Есма Реџепова-Теодосиевска; 8 August 1943 – 11 December 2016) was a Macedonian vocalist, songwriter, and humanitarian of Romani ethnicity. 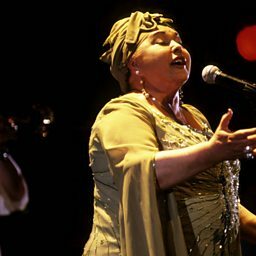 Because of her prolific repertoire, which includes hundreds of songs, and because of her contribution to Roma culture and its promotion, she was nicknamed Queen of the Gypsies. She started to sing while she was a teenager in the 1950s, and her career spans over five decades. Her musical success was closely linked to her marriage with Stevo Teodosievski, who was a composer, arranger and director of a musical ensemble, the Ansambl Teodosievski. 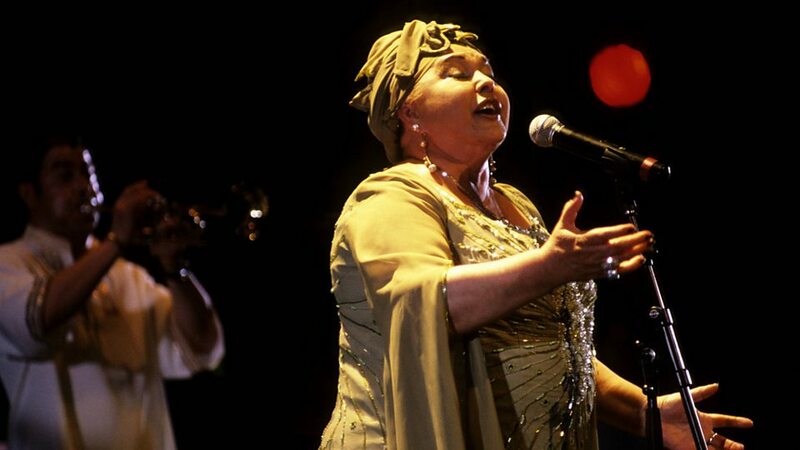 He wrote many of her songs and fully managed her career until his death in 1997. Her musical style was mostly inspired by traditional Roma and Macedonian music. Some other influences are also noticeable, such as pop music. Esma Redžepova started her career at a period when Romani music was very denigrated in Yugoslavia and Roma people considered it shameful for women to sing in public. Redžepova was one of the first singers to sing in Romani language on radio and television.